Have you ever noticed when someone makes you angry or puts you in a bad mood that your body tenses up? And when you think about someone or something you love the opposite happens, your body relaxes and opens up. There is a complex link between our bodies and minds. It’s easy to see how your mind influences your body, but we are also learning more and more about how our bodies also influence our minds. Research has shown that over 90% of your serotonin, one of your body’s primary feel-good chemicals, is produced in your gut. What you eat has a direct impact on what you feel. The good news is there are many foods that can reduce anxiety and help lift depression. Here are some tasty things you can add into your diet to naturally boost you mood. Hypnotherapy can help you clear negative emotions and beliefs, transforming the way you think and feel. 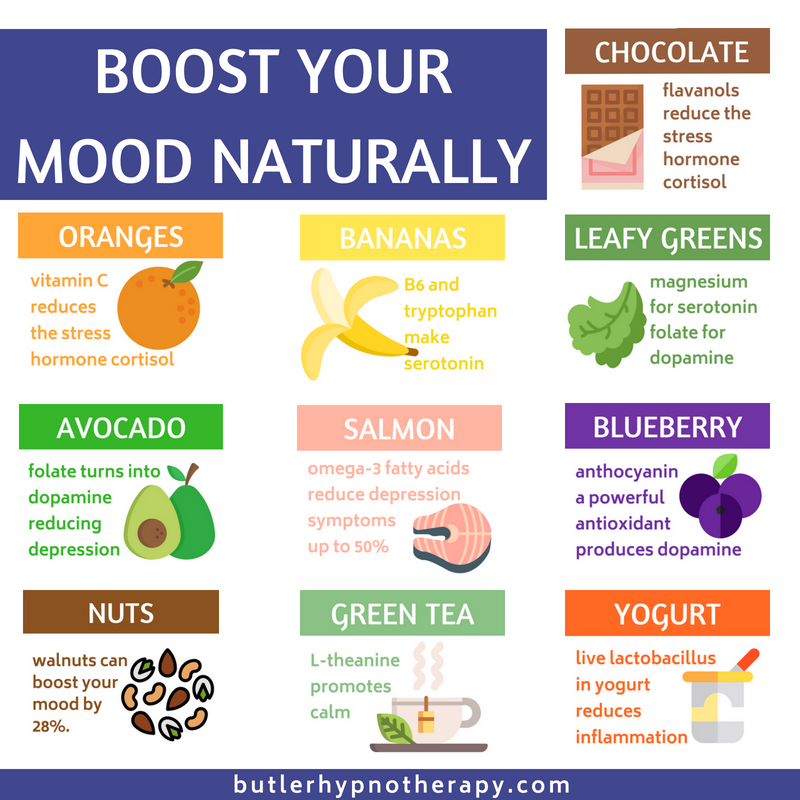 Adding in more of these mood boosting foods can also help you find that calm, balanced, happy way of being.